Our goal is to connect people with the best local experts. We scored wedding photographers on more than 25 variables across five categories, and analysed the results to give you a hand-picked list of the best wedding photographers in Jersey City, NJ. Dempsey Photography is a photography services provider based in Florham Park, New Jersey that provides its customers with a large array of photography product options. The photography studio strives to provide services that solely adhere to the owner’s efforts to provide clients with results of the highest quality and satisfaction. With years of experience and training in the photography field, Dempsey Photography offers skilled services that are backed by credible, hard-earned knowledge. A variety of services that the photography studio offers include wedding portraits, prints, and digital photography. By continuing to adapt to meet its clients’ changing needs, the studio has developed loyalty from its past clients that have helped it to grow into an even better business. John Branch IV Photography is a local wedding photo studio. The group strives to make every wedding day a fun and worry-free experience with lots of beautiful memories to go along with it, and the photographer works in the spirit of "authentic and genuine love" as a trusted friend to the bride and groom on their special day. The studio's imagery has been featured on outlets such as The Knot, Red Oak Weddings, Chic Brown Bride, and Two Bright Lights and has won Thumbtack's Best of 2015 as well. The basic wedding package includes eight hours of coverage, 300 plus images, and a hardcover album, and other special options are available. Mr. Branch can travel for destination weddings and also takes photos of engagements and other portraits. Maggie McGill Photography is a Rutherford, New Jersey based photographic company that works for a wide range of clients. Owner and lead photographer Maggie McGill specializes in engagement photo shoots, boudoir sessions, and newborn portraits. Past clients of Maggie McGill Photography praise Maggie's expertise, experience, and skill, as well as the lengths to which she goes to make every photo session unique and comfortable. Maggie maintains an extensive portfolio of past images on her website for the benefit of clients seeking to visualize the type of work she is capable of producing. Clients can contact Maggie by phone or email to schedule to an appointment or to request a pricing estimate. Photography by Hitesh K. Shroff specializes in capturing timeless, classic images that reflect the unique essence and personalities of couples on their wedding day. The Bloomfield-area photographic specialist brings an artistic, creative flair and more than 25 years of professional experience to every client. 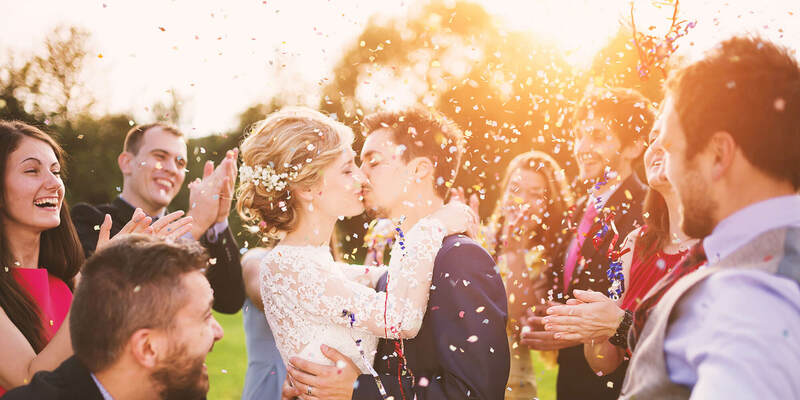 The talented professional has a reputation for creating breathtaking, unforgettable photos that reflect every emotion, smile, kiss, and toast of the once-in-a-lifetime event. Photography by Hitesh K. Shroff delivers cutting edge imagery with attention to detail that yields an outstanding finished product. Clients can trust the experienced artist to produce custom prints of the highest quality that provide a cherished record of precious memories. The creatively skilled photographer offers a broad range of photographic services for engagements, anniversaries, and many other special life moments. Sachiphoto is a wedding photography company which uses an unobtrusive style to develop honest and candid mementos of a couple’s special day. The lead photographer originally worked a corporate job but quit to pursue their creative passion. He collaborates with a professional team who help establish shots and create long-lasting photography which can be enjoyed for generations. Interested individuals can look at Sachiphoto’s portfolios to determine whether or not they like the quality and style and want to commission the company. Sachiphoto takes pride in its unique style and sense of design and strives to be untraditional in the setup of its pictures. The Third Ey3 Photography offers a comprehensive menu of photographic sessions and packages to clients throughout Jersey City, New Jersey, and beyond. Owner Omar Hassan captured the company's first wedding in 2011, and since then, the Third Ey3 has photographed weddings at a plethora of local venues, including the Fiesta, the Venetian, the Brownstone, Puccini’s, the Lake Side Manor, and area churches and private properties. In addition to photography, The Third Ey3 offers videography and graphic design services. The Third Ey3 offers a variety of promotions, including a new client discount, discounts off family sessions and newborn sessions, and 25% off engagement and wedding photography.